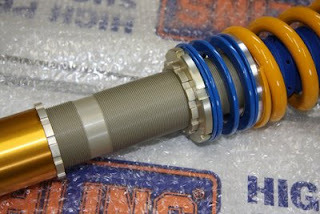 Ohlins are good. 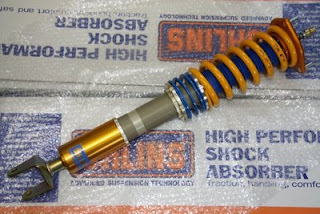 Ohlins are really good suspension. I have really liked them since we ran them on the Blackbird R34 GT-R way back when. Heres a couple pictures of the basic setup. Now I just want to see the remote reservoir coil overs.